Last month my recipe for Maraschino Cherry Cupcakes caught the attention of CherryMan, a company with over 100 varieties of maraschino cherries! I had never heard of CherryMan before so I said “definitely!” when they asked if they could send me some to try out. I often use maraschino cherries in my baking and liked how CherryMan’s maraschino cherries were natural with no artificial colours, flavours or preservatives. CherryMan sent me some of their Farm to Market Natural Maraschino Cherries to try out. There’s a QR code on the side of each jar that let’s you find out more about the origins and story of the growers of each jar! The cherries have just the right amount of sweetness and are delicious even just eating on their own. Cherries are not just for sundaes! CherryMan has a bunch of sweet and even a few savory recipes you can make using their cherries. 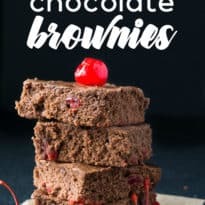 The first recipe I wanted to try was the Cherry Chocolate Brownies. They are moist and chewy and full of sweet maraschino cherry goodness. You can also add nuts, but I left them out of my recipe. 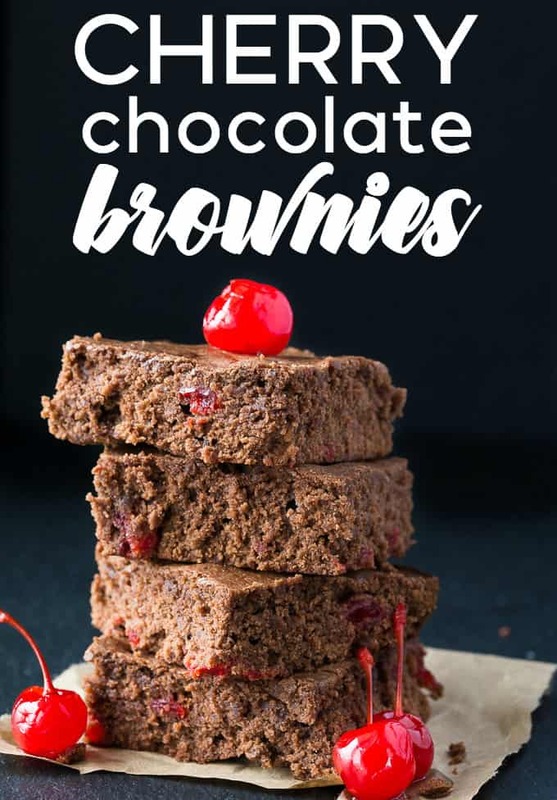 Top with some vanilla ice cream or eat them plain, these Cherry Chocolate Brownies make a scrumptious (and seriously simple) dessert. Visit CherryMan to learn more about their maraschino cherries and other products. Connect with CherryMan on Facebook, Twitter, Pinterest & YouTube. Rich and sinfully sweet brownies packed with luscious cherries! Stir together melted butter and sugar. Whisk in almond extract and eggs. Stir in flour, salt, and cocoa. Add cherries and mix again. Spread in a greased 9×13″ pan and bake at 350° for about 30 minutes, or till toothpick comes out clean. Cherries and chocolate are two of my favorites. Wiping the drool off of the keyboard. Stacie your brownies are making my mouth water, they look delicious. I love maraschino cherries!! Yum, I love chocolate and cherry as a combination! OMG! Two of my favorite things combined! These look scrumptious! Can’t wait to make them! Yummy, yummy! I love cherry and chocolate. Can’t wait to try these! Looks so good! Thanks for sharing at the #InspirationSpotlight party @DearCreatives Pinned & sharing. 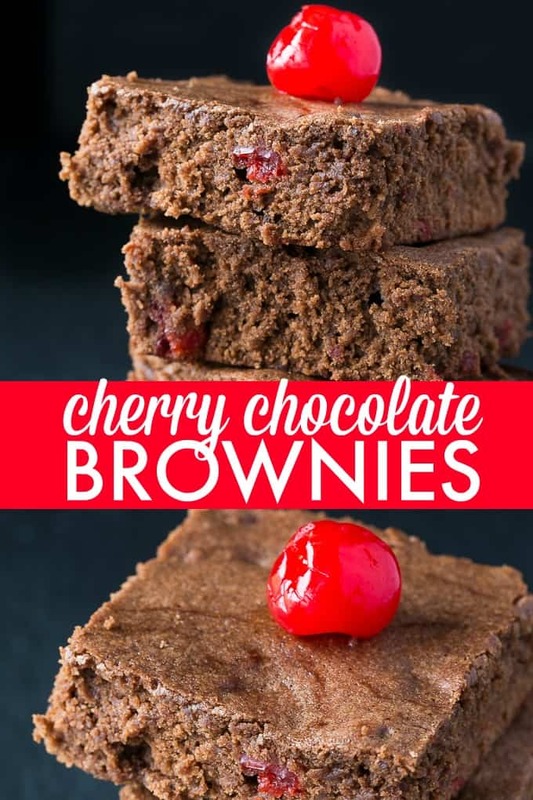 I am a huge brownie lover and the addition of the cherries can only make them better. Yummy! Chocolate and cherries are always a great combo. Thanks for sharing on Merry Monday.